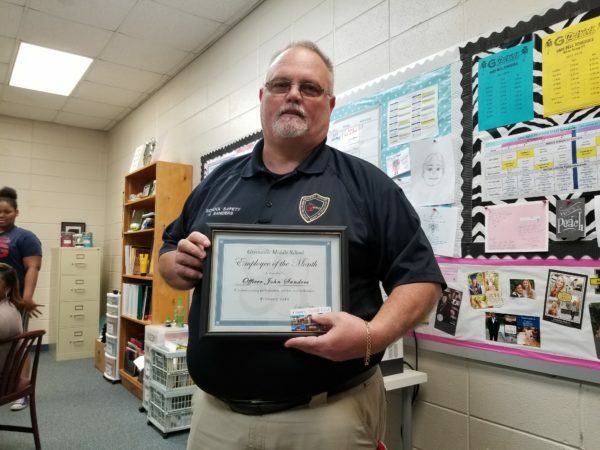 Greenville Middle School is proud to honor its Career Awareness & Development teacher, Mr. Ryan Daniel, as Teacher of the Month for February and School Resource Officer, Officer John Sanders, as Employee of the Month for February. 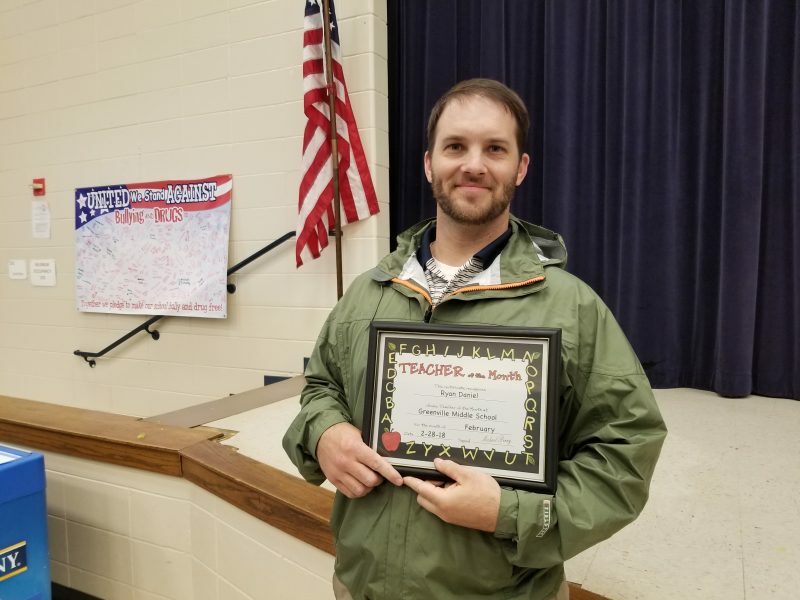 Mr. Daniel consistently sets high expectations for our students and is extremely dedicated to doing whatever it takes to see our students improve and achieve greatness. Likewise, Officer Sanders works hard every day to support our students and staff and to ensure the safety of our school. We are very thankful to have them as a part of the GMS family!